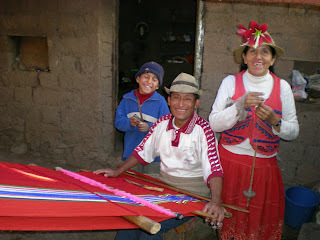 Angelino weaving a blanket, his wife spinning wool and son Daniel looking on. Milton always carries his weight. His hat from last Christmas has been well worn! Julio Cesar is 15 and one of the hardest working young men you will find. 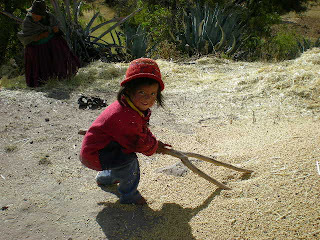 Alcira is only 5, but has important jobs to do to help her family. This mom carries her baby in the traditional way. The first project in Pirca was to replace the grass roof that burned on this widows house. Life is full of hard work but we find the people to be content with the life they know. Transportation of anything is a backbreaking job moving up and down the mountains at high elevations like mountain goats. It is hard to imagine a group of more wonderful people than these. 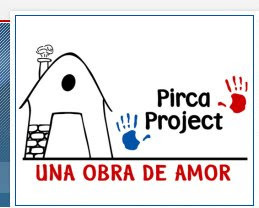 The first time we went to Pirca, it was the faces we saw that changed our lives for good. 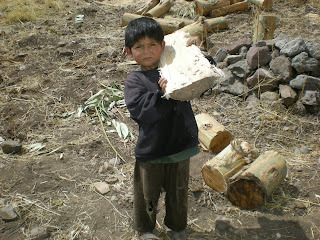 They live a life filled with hard work and none of the comforts we take for granted . 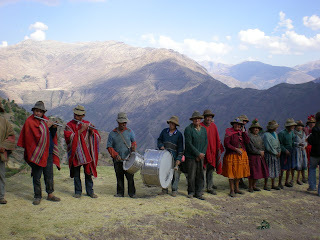 They carry heavy loads on their backs up and down rocky trails. 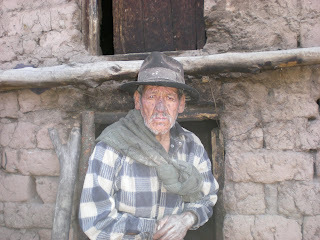 They live in adobe brick homes with dirt floors. There are no bathrooms in the village and while there is electricity run to the village, the people cannot afford to use it except to plug in their radio and for a pull string light to be turned on for a short time at night. The school aged children have to get up at 5 am to complete their chores before walking more than an hour up to a neighboring village to go to school. Despite the hardships they deal with on a daily basis, it is the only life they know and they have learned to cope with the difficult conditions. They are humble, thoughtful and courteous. Each time they greet you with a warm "papasito" or "mamasita" as you pass by. Any kindness given them is received with tender tears of thanks. 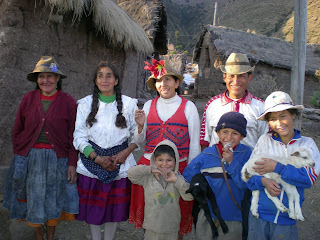 The people of Pirca who live with so little have given us so much.